This is the dead season for moths - in one case this morning, literally. Because it was mild last night and we had Burns Night visitors - delicious haggis, yum, see below - I put the trap out at a venture. This morning, it produced one live caller and one, well, bit. The bit was the severed forewing, left, of a Pale Mottled Umber. The living visitor, top picture, was a PMU in good shape. He's a male, with the TV aerial antennae which are always a pleasure to see. Antennae, as I have remarked before, are the one attribute of moths which I envy. Human beings would look even nicer if adorned with the incredible range of these organs found among moths. Perhaps one day the little bumps on our foreheads will sprout. Or maybe our eyebrows. Don't expect many posts for the time being but I will put out the trap from time to time. 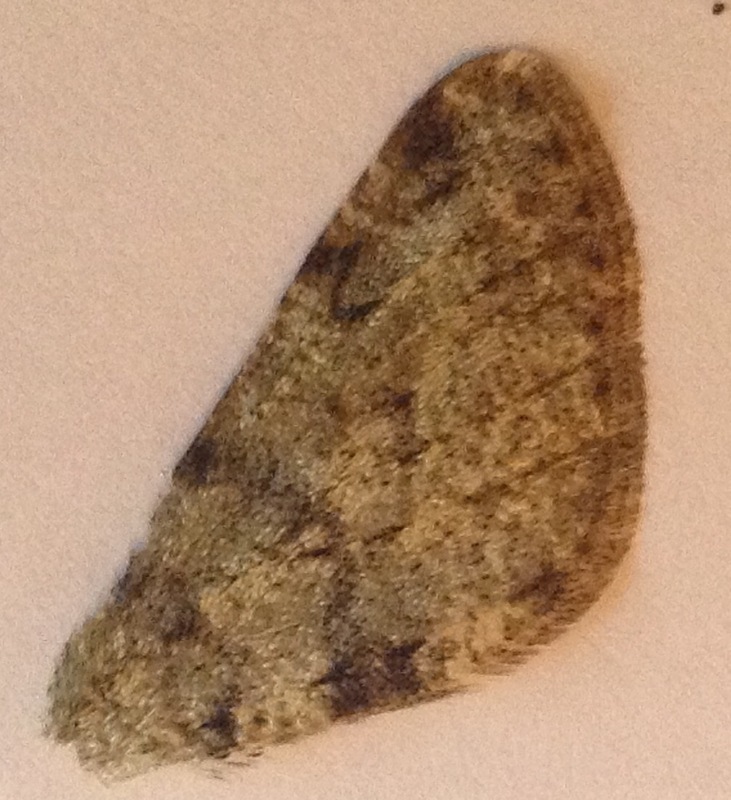 The occasional micro is fluttering into the house, too, like the very badly photographed one on the right. In my defence, it was high up in a corner with dreadful light and I was using my iPad Mini. My best guess is Agonopterix heracliana or its relative A. arenella also known rather more delightfully as the Common and Brindled Flat-body. Meanwhile, tomorrow the weather is going to turn cold again.